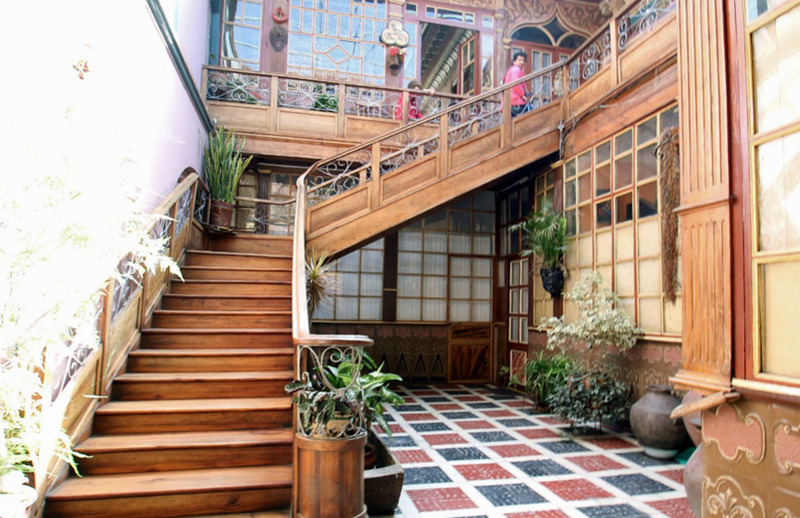 Señora Cecilia Toral Vasques, seventy-two years into her Cuenca life of privilege and tragedy, reigns in her forty-two-room family home surrounded by the story of her life. 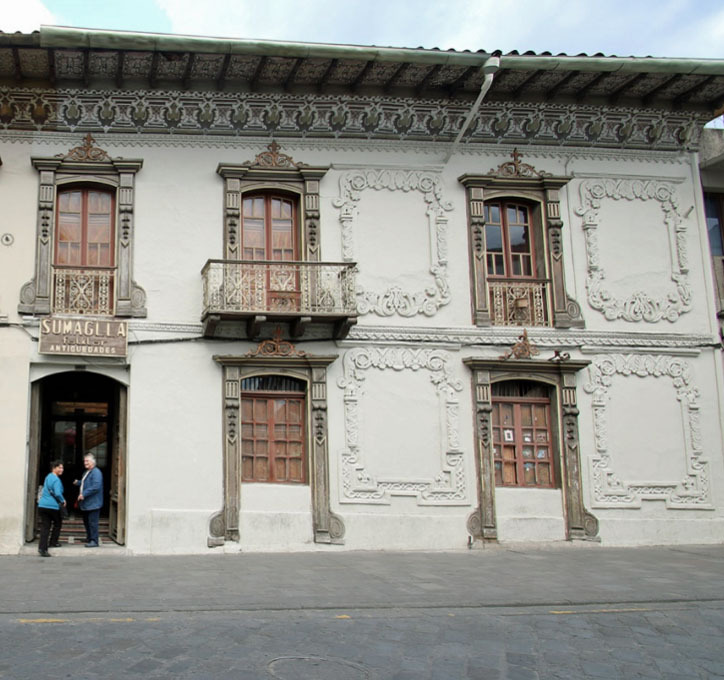 On Calle Larga, just across the street from Calle Luis Cordero, is a splendid patrimonial house still in private hands. You enter the door under the sign that says “Sumaglia Folklor Antiguedades” and ring the bell. The shop is on the ground floor right. To tour the house, you pay $2.00 and climb the graceful staircase. Señora Cecilia is an Ecuadoreana who was born in the house next door in 1946 and moved to this house when she was thirteen; she has lived here ever since. Both buildings had been constructed as a single house in 1850 to the specifications of her mother’s family. 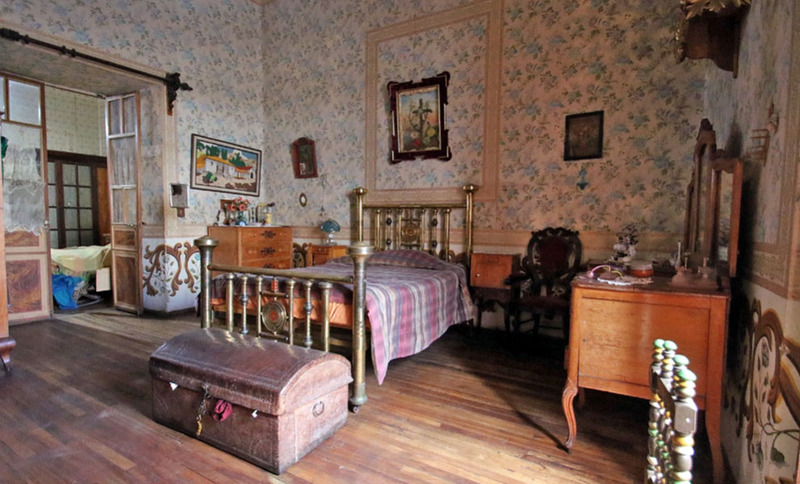 They were designed in France, and almost everything in this house is original, including rugs, paintings, and furniture. Señora Cecilia pointed out painted tin ceilings from Germany, lamps from Holland, wallpaper from France, dining-room murals painted by an Ecuadorian, and objects from China and other parts of the world. On her mother’s side, her great-grandfather was a senator and her grandfather a banker. Her father was an accountant, and the family has run the antique shop below for forty years. Her family was cosmopolitan in an age when few Ecuadorians traveled abroad. Her uncle studied dentistry in France for six years. A man from Genoa, Italy, arrived in 1930 to marry her aunt; the aunt died only a month later, at twenty-two years of age. One of the Señora’s earliest memories is of a trip her family took at Christmas in 1947 by plane from Guayaquil to Lima, Peru. She received a Cinderella dress—which she still has. 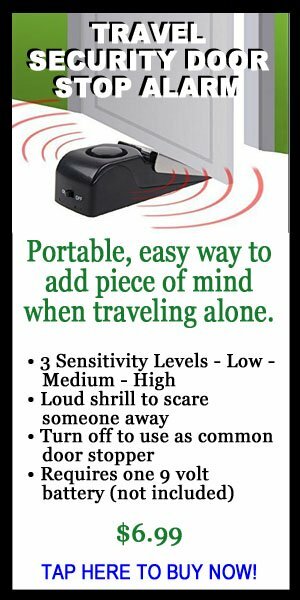 Señora Cecilia has traveled to the U.S., Italy, several other European countries, and much of South America. She speaks some Italian and some English. In 1977, in Rome, she received a blessing from Pope Paul VI, and later was also blessed by Pope John II. When she was a child, Cuenca streets were paved with cobblestones, and Cuencanos bragged that a razor blade couldn’t fit between them. While residents walked most places, the town also had buses. Her grandfather drove a Peugeot when the family went farther afield. The roads outside the city were mostly dirt and often very narrow. When Cecelia’s sister was married in 1959, the family took the “Santa Bus” that left at 2:00 a.m. and took fourteen to sixteen hours to reach Quito. Cuenca was electrified in 1910, and right away the house got electricity. There were four live-in servants when Senora Cecilia was a child, a nana who took care of the children, a cook, a laundry person, and a general housemaid, plus others who lived outside but worked in the home. Cooking was done on a wood stove; they didn’t have gas until about forty-five years ago. Señora Cecilia took baths in a tub brought from France. Indoor plumbing meant that they had potable water in the house, but the drainpipes sent sewage and gray water directly into the Tomebamba River. Ready-made clothes were unheard of; her mother and a dressmaker sewed their fine clothes and also knitted and crocheted. 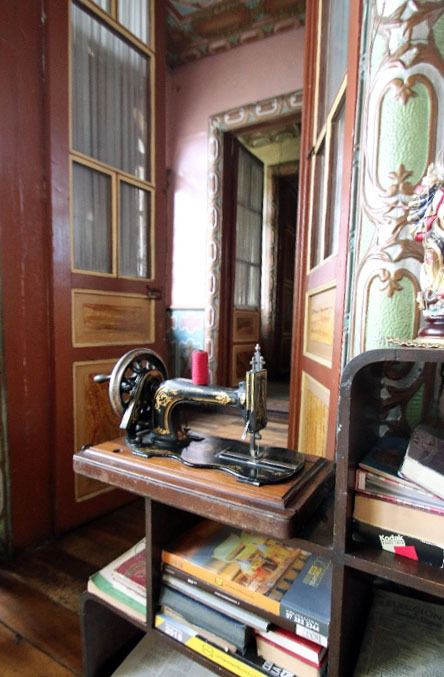 They used a treadle sewing machine, and a hand-run sewing machine in one of the rooms recalls that time. Of course the youngsters wore uniforms to school, one type in elementary school and a different one for high school. At the age of six, Señora Cecilia began school with the Dominican sisters, and in 1952 she took her first communion. A group of girlfriends walked to school together five days a week in time for the 7:00 a.m. mass. School went until 11:30, when students were released for lunch until 1:30. School ended at 4:00 p.m. At age twelve, she started high school with the Salesians. She spoke of the different colors they used to study countries on the map. She liked history and geography—and still remembers memorizing that information—but hated math. Her mother had studied with the French sisters at Sagrada Corazon convent for several years, as was common for girls of her station in that time. Cecelia was always a hyperactive child who chewed her nails, so her mother put ground coffee on her fingers to stop the chewing; one glance at her hands now shows that it worked. For fun, children played hopscotch, Chinese checkers, cards, and other games with marbles. She hated Carnaval, with people throwing water on everyone who passed by, and stayed in the house when she could. Her family was very social and hosted many parties in their home. She remembers especially Easter, when the children dyed eggs and hung chocolate eggs on trees. The Easter Parade passed right down Calle Larga in front of her house, but rather than just watching it, students from each school marched in the parade; the girls wearing elegant clothes and a mantilla. She also loved fanesca, the special soup that Cuencanos still prepare at Eastertide. Señora Cecilia recalls her most happy times were when she was with her family, consisting of her parents, her sister and brother, plus numerous aunts, uncles, and cousins. Cuenca in those days was a small town, basically consisting of what now is El Centro. It was safe, but still, children were warned not to open the door because “a person with red cheeks” would steal the children. Señora Cecilia thinks that it was only twenty-five or twenty-eight years ago that more indigenous people started to move into the city and the city began to expand. Also, more beggars appeared on the street. Another significant change occurred more than twenty years ago, when many middle-class Cuencanos began to move to the United States. Her family got news of the country and the world through radio and newspapers. They also listened to soap operas on the radio, which ran stories “nicer than now.” Then as now, the mail service wasn’t the greatest; a letter took six months to reach Europe. Señora Cecilia doesn’t use a computer, but with cable, she watches television, especially a Catholic channel from Alabama. 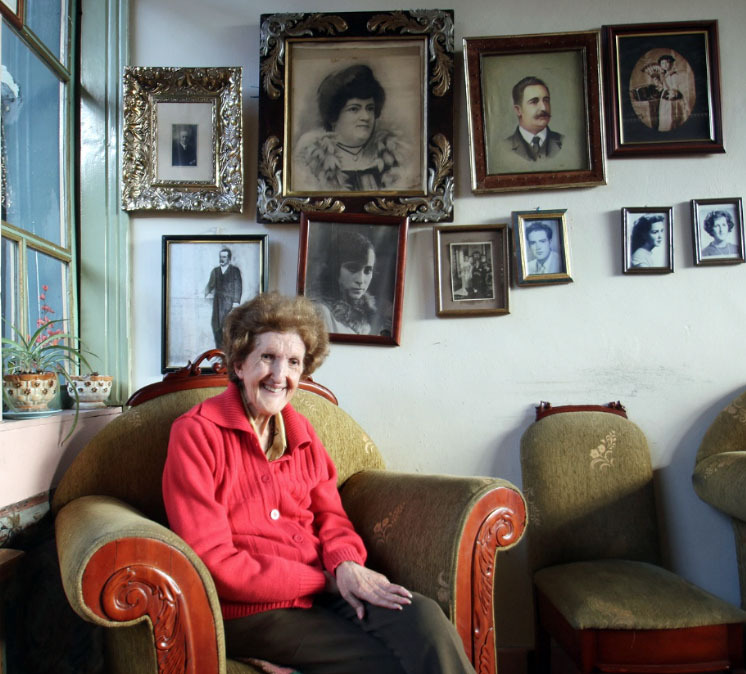 Señora Cecilia met her husband when she was thirty-three and working in her family’s antique shop. Her father introduced her to the dashing archaeologist who flew all over the world to various digs, and it was love at first sight. He was generous and loving, and they married after knowing each other for only six months. His plane crashed while he was flying home from India for the birth of their first child. He never knew his daughter, and she never knew her father. 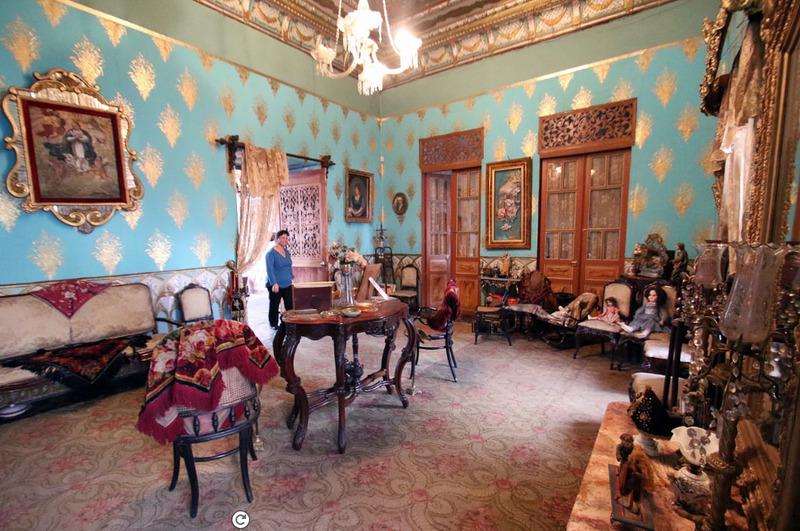 In 1967, after working in her family’s antique shop for many years, Señora Cecilia studied how to run a museum. She directed the Las Conceptas museum and also El Centro de Reconversión. The priest and archbishop who visited the museums wouldn’t drink coffee unless Señora Cecilia — “the angel” — prepared it piping hot for them. The Italian priest said, “Cold coffee is like a kiss from an old lady,” and Señora Cecilia always wondered how he knew that. That same year Señora Cecilia and three other women took a tiny airplane to a small village in the Amazon. From there they went on horseback to other jungle villages. In 1968 she fell down the stairs and has needed a cane since that time. Señora Cecilia never has driven; she loved to walk and ride buses, but has mainly taken taxis since her fall. She also loved to work and, judging from our conversations, loves to visit. In 1972, she began to rent apartments to gringos, some of whom still return to visit when they’re in town. That same year a huge hailstorm destroyed the courtyard roof, and several gringos brought in tools to help gather the ice. In 1979, Señora Cecilia represented Ecuador in a Peace Corps conference in Peru. There she met the president of Peru, along with dignitaries from other countries. When Peace Corps volunteers came to Cuenca, she escorted some of them and other expats on tours to meet nuns. The events she especially remembers are hearing on the radio when Neil Armstrong walked on the moon in 1969, when women’s rights became an issue, when Pope Paul VI declared in 1960 that priests could wear regular clothes, and when Jose Maria Velasco Ibarra, five-time president of Ecuador, came to Cuenca while she was still in high school. Cuencanos didn’t like him, so somebody blocked the bridge, and he was forced to go through the river. Señora Cecilia’s brother was in the melee and came home reeking of tear gas. To learn more about Cuenca’s past from an Ecuadoreana who lived it, pay your $2.00 and climb the stairs to meet Señora Cecilia Toral. 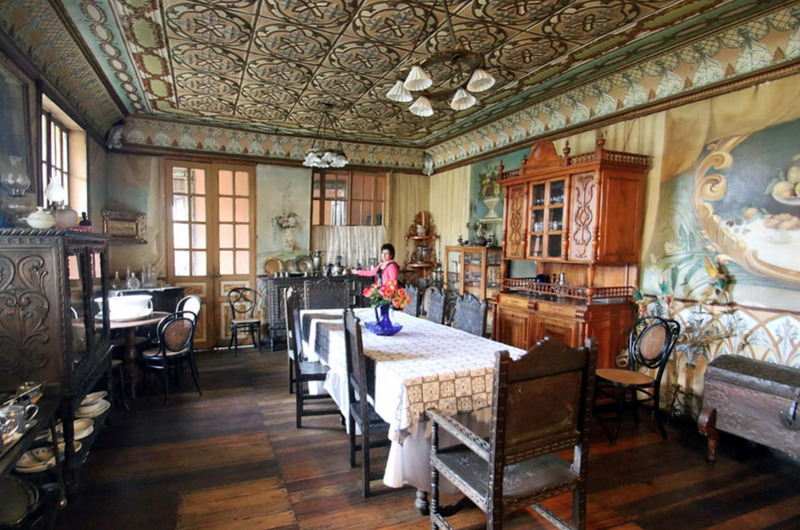 The house and all its contents are for sale, so if you need a gorgeous forty-two-room patrimonial house that contains many treasures, is one of the best locations in Cuenca, and needs many repairs, make your offer. It has a lot of history to share. 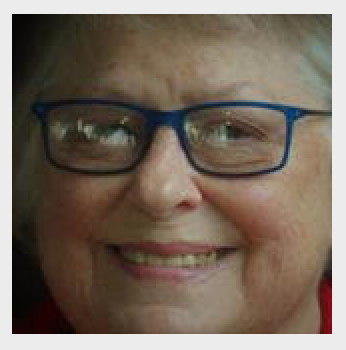 Jean McCord is a retired planned giving consultant from Tacoma, Washington. 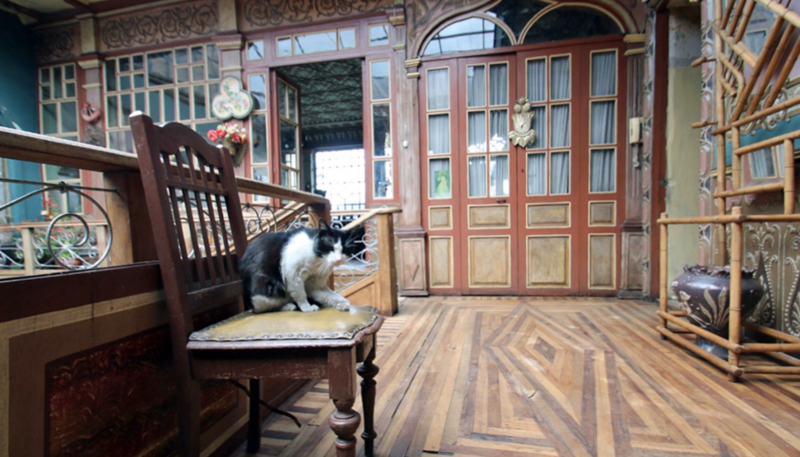 She has lived in Cuenca, Ecuador, almost three years and has written several articles for Cuenca High Life. In the States, she wrote a column for two newspapers, “Along for the Ride,” about riding with different police and fire agencies, as well as many professional articles. She was also a Pierce County Reserve Deputy Sheriff for three years. Her first mystery book, The Eagle Murders, is complete, and Jean is currently working on Death of a Sea Otter. She hopes to publish both at the same time.